In Albania, commenting on Transparency International's recent report on perception of corruption, the OSCE Presence expressed its regret that "the positive trend that existed from 2013 and on was overturned in 2017 and deteriorated further in 2018 ". The organization's report ranked Albania at 99th place, unlike a year ago when it was 91st. The report that includes 180 countries uses a scale from zero to up to 100, where zero indicates a very corrupt country. According to Transparency International "being candidate country for European Union membership, Albania has improved over the past five years with five points. But compared to a year ago has dropped by two points, from 38 to 36 compared to last year. This may be due to a political stalemate that blocked some anti-corruption reforms to move forward. 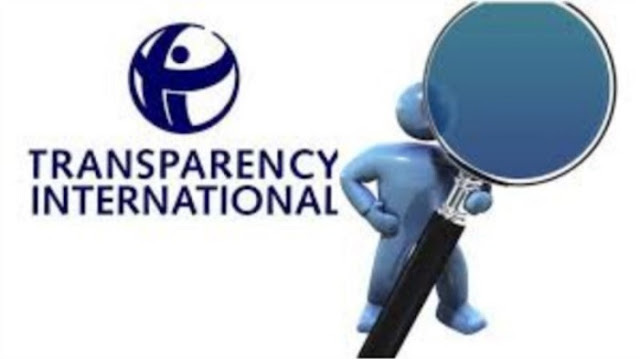 With a new vetting process and almost complete anti-corruption institutional framework, it remains to be seen whether Albania will improve its outcome in the future," the report said. "Unfortunately, most of the countries in Southeastern Europe have regressed compared to the previous year. The negative trend in the case of Albania is even more disturbing, as it overthrows the marked improvement in the perception of corruption between 2013 and 2016," said Ambassador Bernd Borchardt in a special statement. "The results of the index show that Albania should continue reforming the system of its public institutions, as are perceived as more corrupt than two years ago," Ambassador Borchardt underlined, adding that the reforms undertaken, including the veting in the justice, new anti-corruption institutions need to be established, "We look forward to the establishment of new anti-corruption institutions and we continue to urge public institutions and law enforcement agencies in Albania to continue implementing justice and reforms against corruption in accordance with the recommendations and international obligations of the United Nations Convention against Corruption," said Mr. Borchardt. He also stressed the role that citizens and the civil society can play in this direction: "Albanian citizens must refuse and denounce corruption at governmental bodies. Also, civil society must constantly monitor public life in the country and report regularly on every issue related to corruption, keeping this topic at the center of public attention, and supporting the development of legislation, institutions and apropriate expertise," the OSCE ambassador said.